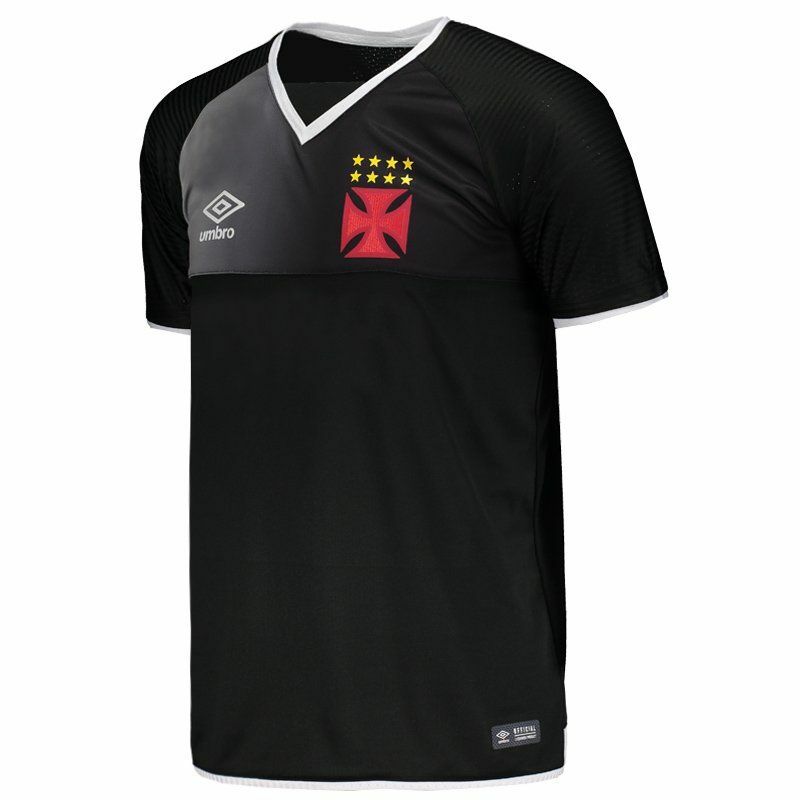 Developed by Umbro, the Vasco da Gama GK 2017 Jersey features lightweight polyester in its composition, offering softness and comfort. 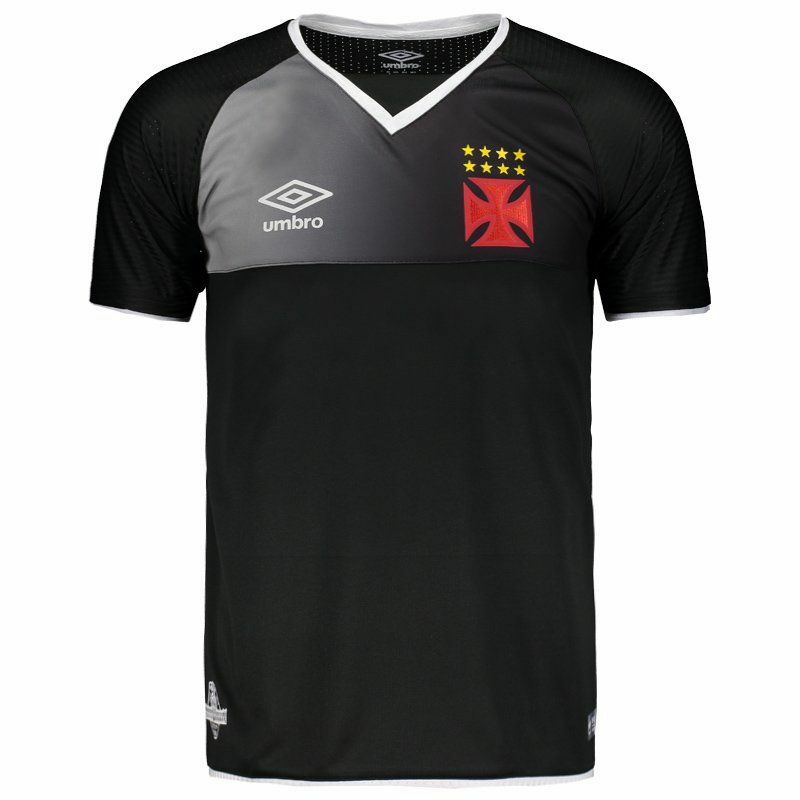 Its design is predominantly black with white and gray accents. In addition, it presents V collar with superimposed fabric and has perspiration stripe on the inside of the collar. 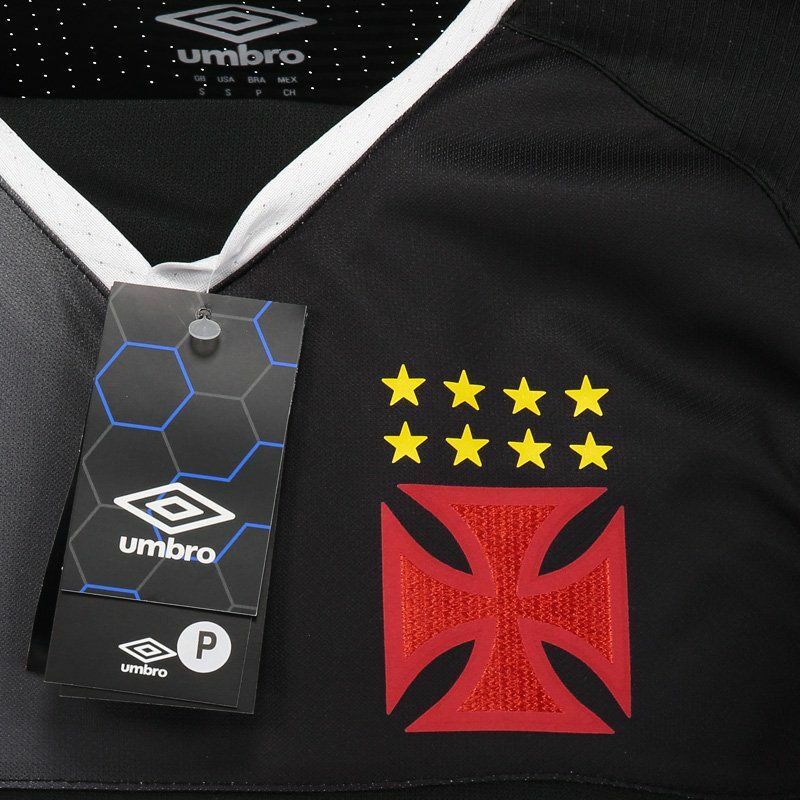 The team's badge appears on vinyl on the left side of the chest and on the right side, the brand logo can be seen. 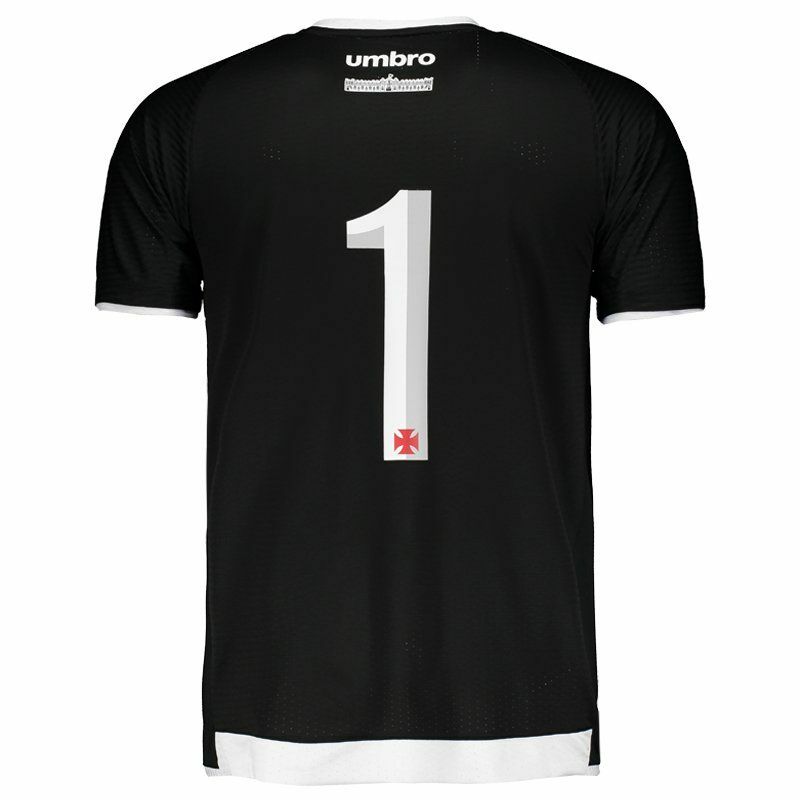 The piece brings the number 1 stamped on the back and allows name customization. Finally, fabric superimposed on the collar, sleeve cuffs and shirt bar complement the details.